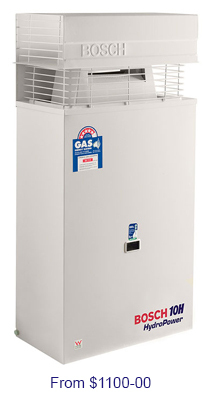 The Bosch 10H delivers a 10 L/min flow rate and is available in Natural or LP Gas. It is suitable for 1 bathroom homes and conveniently provides continuous hot water without a powerpoint or a standing pilot light. repairs call "Do It All Plumbing and Gas" for an emergency plumber in Perth’s northern suburbs. has burst or not providing you with hot water, you need an emergency plumber. We guarantee to arrive at a time that suits you!